Friends, here’s one awesome bundle packed full with thousands of best-selling, colourful, artistic elements that are just waiting to be played with. At 99% off this is the most affordable way to step up your library of creative assets, and inject some extra inspiration into your regular projects. This collection features thousands of assets built to save you serious time in your creative work. Whip up professional logos using the super popular Feminine Logo Creator, apply realistic brush details to your work. 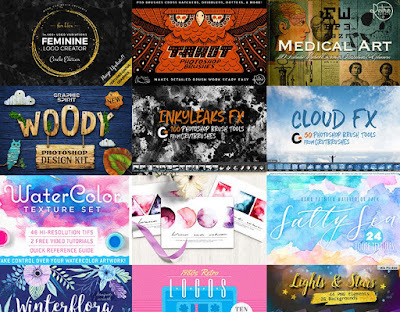 This bundle is a true one-stop-shop, giving you unlimited access to these world class quality tools, from some of the greatest designers in the industry. There’s so much variety you’ll be covered for any project. You can explore everything from gorgeous illustrations, to retro artwork, time-saving templates, tactile brushes, realistic effects packs, bold backgrounds and so much more!